Andrew Gunderson, an experienced commercial lender in the Madison area, has joined Wisconsin Bank & Trust as Senior Vice President, Commercial Banking. Previously, Gunderson held commercial banking roles at FirstMerit Bank and Associated Bank, both in the Madison market. In his work as a Madison-based commercial banker, Gunderson will build relationships with business owners and executives as he helps them meet their business goals through tailored financing including commercial and industrial loans, commercial real estate loans and small-business (SBA) loans. 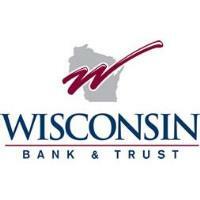 Gunderson is based at Wisconsin Bank & Trust’s Main Banking Center, located at 119 Junction Road in Madison. Gunderson can be reached at agunderson@wisconsinbankandtrust.com.